What Do I Do if My Leased Car Is Totaled? Leasing a car is a popular option for people who prefer to drive a car for only a few years before getting a new one, and doing so can provide the driver with a lower monthly payment than a traditional purchase. Unfortunately, if you are in an accident and your leased car is totaled -- meaning the insurance company is unwilling to repair it -- you will be responsible for making sure the terms of your lease are fulfilled. And, your insurance payment may not be enough to do so. After the accident, your insurance company will have a mechanic and possibly a claims adjuster inspect your car to see what the cost to repair it is. If they determine that your car is too costly to repair, they will notify you that the car is a total loss. Get that information in writing so that you can present it to the leasing company. Contact the lien holder, which is the company that leased you the car. Notify them that the car has been totaled, and ask what the current payout is for the car. You should be able to determine this information from your leasing contract as well, but you will want to confirm the exact number with the lien holder. Arrange for the insurance company to pay the lien holder directly. In many cases, the insurance company will do so automatically, and you will not have to act as an intermediary. If, however, they send the check for the car to you, you will be required to provide that money to the lien holder. How to Know If Gap Insurance Is Included in the Lease of a Car? For How Long Is Gap Insurance Available? Can I Get Full Coverage Insurance on a Salvage Titled Vehicle? Check your lease agreement to see if it included "GAP insurance." GAP stands for "Guaranteed Auto Protection" and will cover the difference between the insurance payout and the amount owed on your lease contract. Some leasing companies require GAP insurance and include it as part of the lease. Others do not. Make an additional payment to the lien holder if necessary. If you do not have GAP insurance and the amount the car is worth is less than the amount the lien holder requires, you are required to pay the difference to the lien holder. Continue to comply with the terms of the lease until the title is cleared. 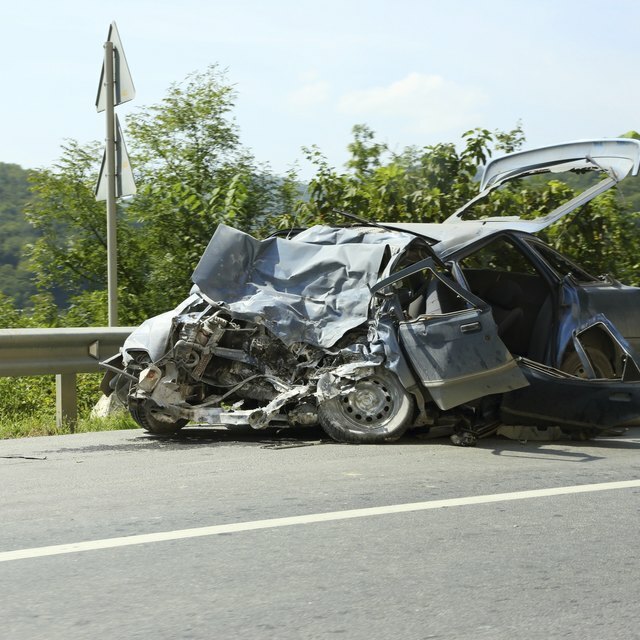 Title clearing happens after the car is totaled as the car is processed by the lien holder and the insurance companies. During that time, you must continue to make your lease payments as agreed. You will be notified by your lien holder when you are released from the leasing contract and no longer are required to make payments. GAP insurance can be extremely beneficial in a leasing situation, as it protects against unexpected liability. LeaseGuide.com: Accident In Leased Car – What Now?